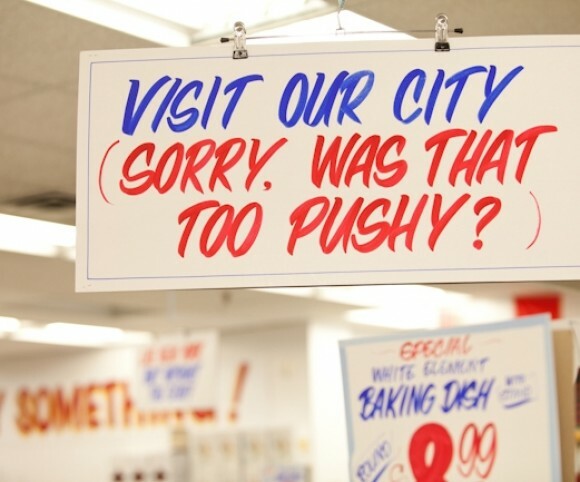 Summer Special, Honest Ed’s, June 2012. For this show I invited Torontonians to tweet their original TO aphorisms at the hashtag #TOmotto. 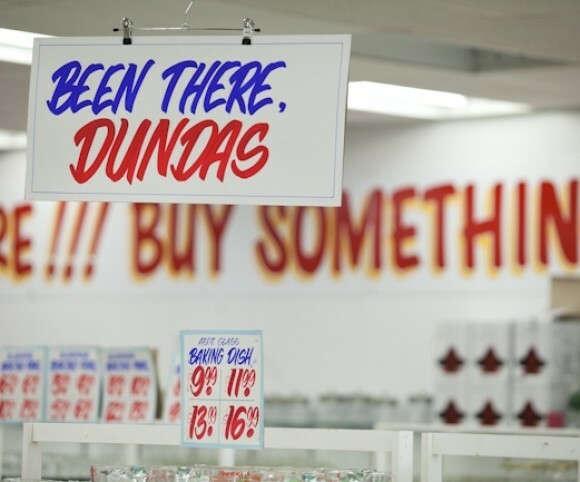 The best were turned into Honest Ed’s signs, rendered by store sign painter, Wayne Reuben. 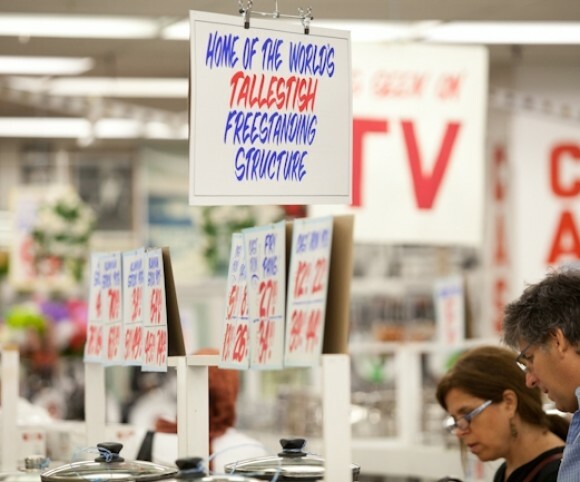 The signs were hung throughout the kitchenwares section. 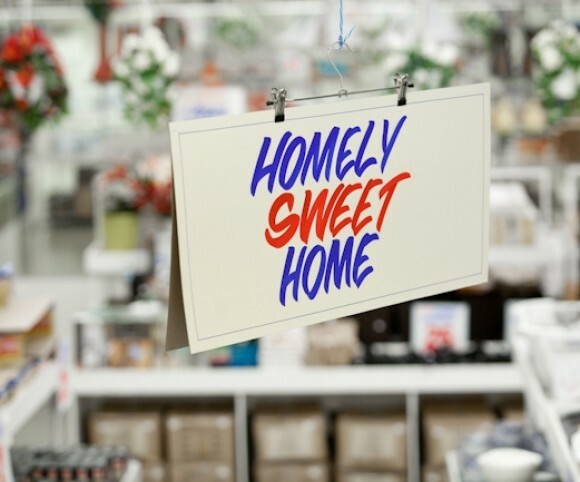 Often, the interplay between TOmottos and regular Ed’s goods could leave customers wondering whether the signs were real or not. 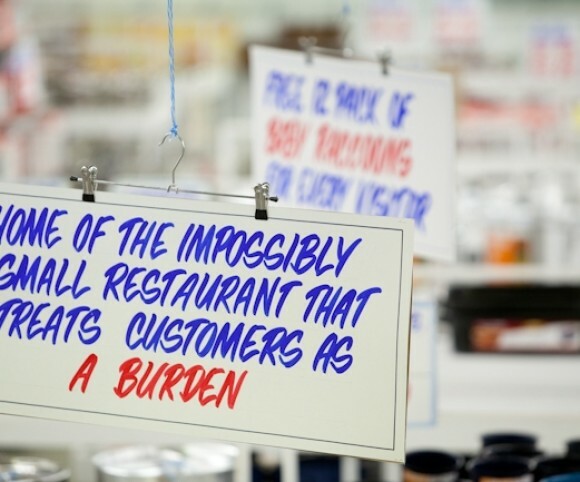 Alas, customers weren’t given a free twelve-pack of baby raccoons with every purchase. 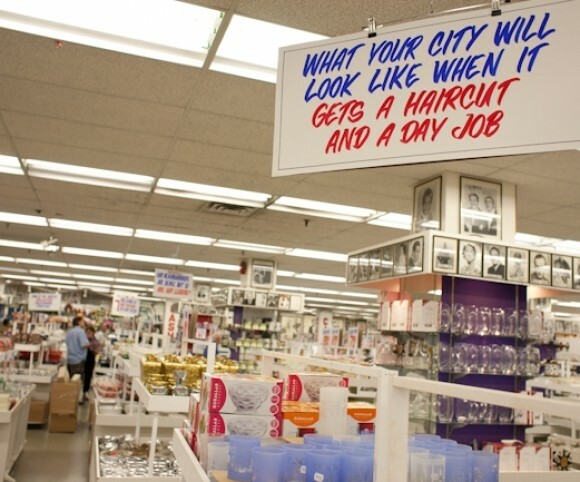 The Koffler Center’s Summer Special at Honest Ed’s, Toronto Star, Murray Whyte, July 14,2012. Honest Ed’s Bargain Basement Art Show, The Forward, Michael Kaminer, June 27, 2012. 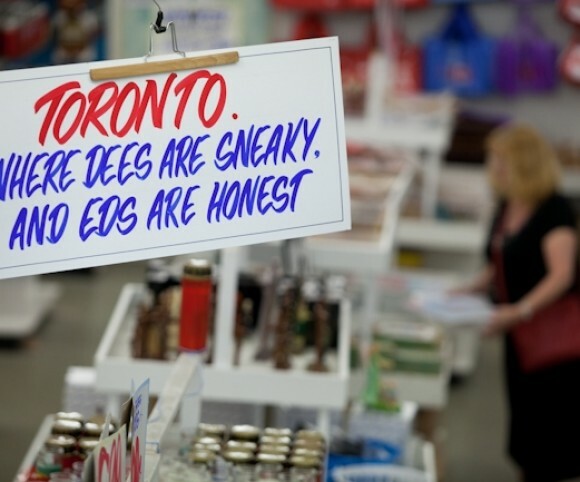 Honest Ed’s does a turn as an art gallery, BlogTO, Derek Flack, June 26, 2012.